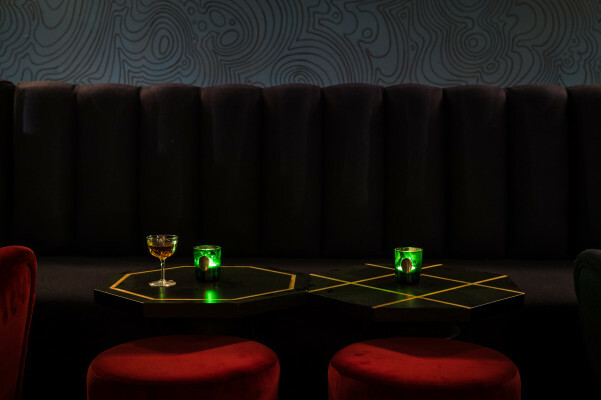 A mysterious venue that's as much confidante as it is cocktail bar, this subterranean hot spot in Shoreditch gives up the goods if you know where to find it. 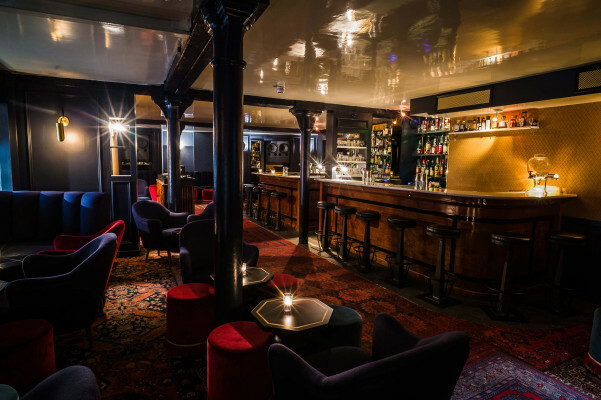 Its smooth staff serves up strong drinks to the basement hipsters that earn their way through the door off Curtain Road. 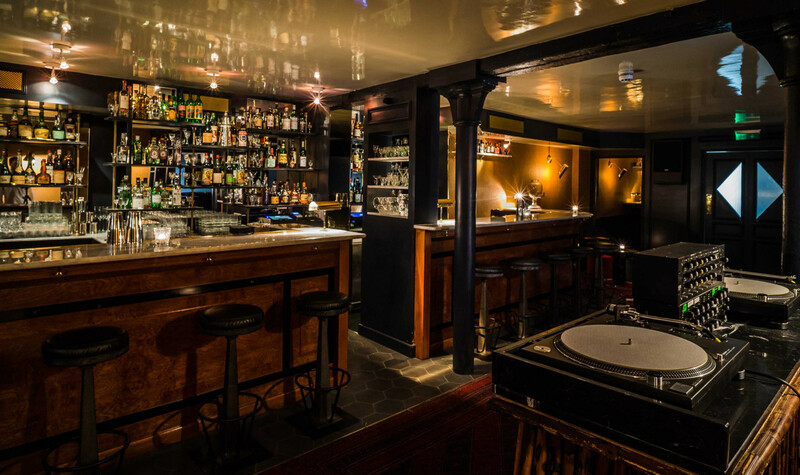 Joyeux Bordel is a subterranean cocktail bar tucked into London's bustling Shoreditch area. The bar is a private escape away from busy London perfect for the most exclusive parties. Prices above range depending on time of year and day of the week. Prices include VAT and service charge. Catering is outsourced, and prices vary depending on amount of guests. There is no hire fee, unless the minimum is not met. We are open every day, except New Year's Eve and Christmas. However, events can be booked for those days. 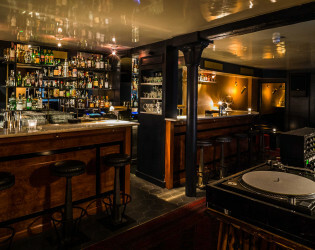 Joyeux Bordel features one main room with a long bar down the right side of the room. We have men's & women's toilets, a small kitchen and a cloak room. Our bartenders have endless ideas when it comes to cocktails. 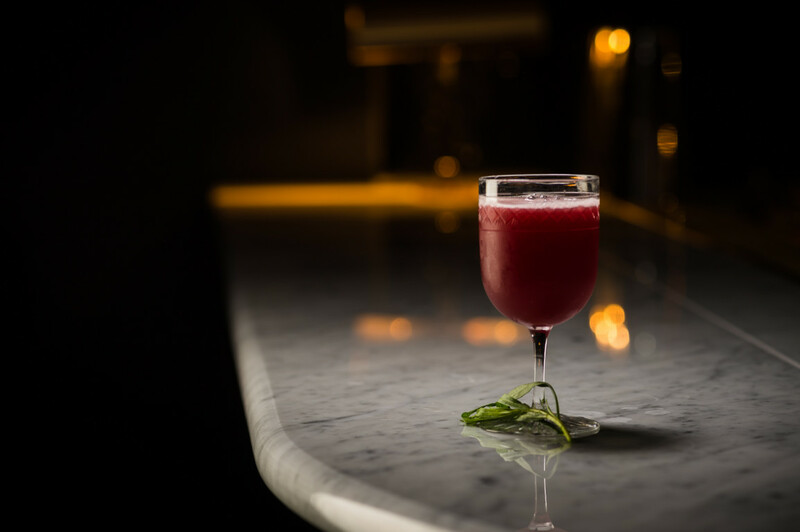 For your bespoke cocktail, we'll work with you to create something perfect for the evening! 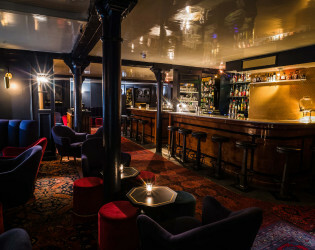 Joyeux Bordel, or 'happy mess', welcomes guests into a subterranean cocktail bar tucked into Shoreditch. 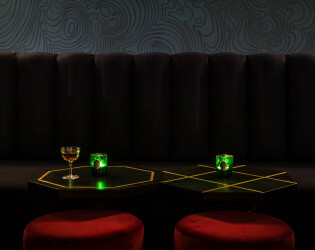 The lush, decadent bar is an exclusive escape perfect for private parties, with exquisite cocktails to boot. 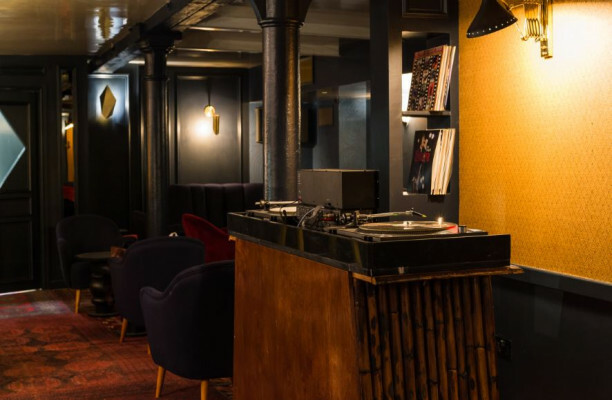 Small seating areas, lush sofas and candlelight complement a stunning vintage analogue sound system and vinyl DJ decks, perfect for dancing the night away. 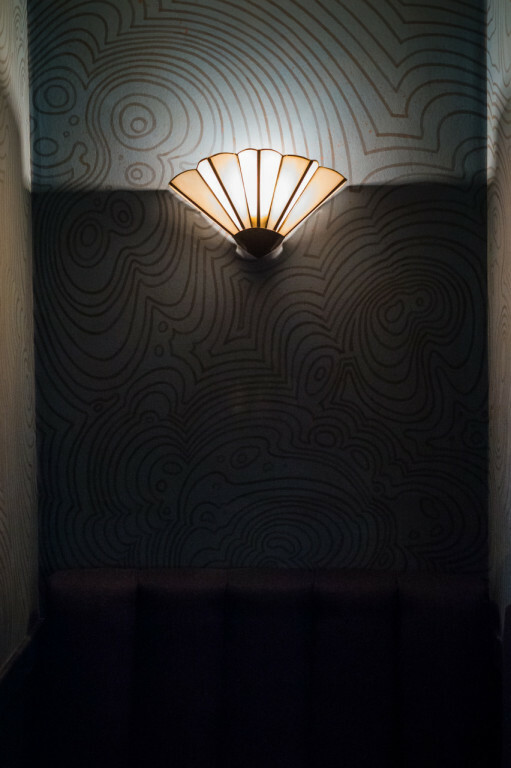 Joyeux Bordel has been designed by Dorothée Meilichzon (Designer of the Year, Maison & Objet 2015). The bar boasts lush fabrics, hand painted wallpapers, and vintage touches throughout. 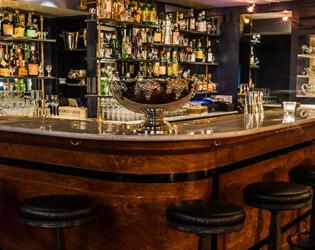 A long white marble bar with a pippy oak base is a focal point of the room, where guests can sip cocktails all night long. Joyeux Bordel is rooted in cocktails and music. On the cocktail side, our regular menu changes monthly often featuring new creations. 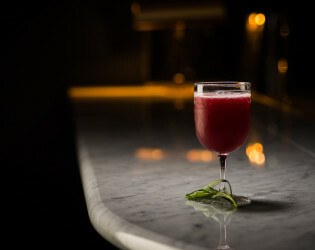 For events, bespoke cocktails are made, and punches are available. In addition to cocktails, our champagne list, sourced by our sommelier at Compagnie des Vins Surnaturels, features some of the best champagne in London. 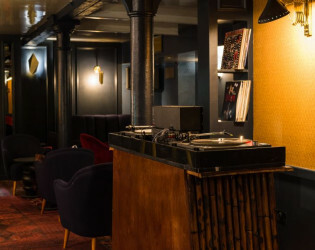 On the music side, our hand built vintage analogue sound system is second to none, and sees DJs playing vinyl records. We offer bespoke cocktails for events, and for all events, we print custom menus for the evening. 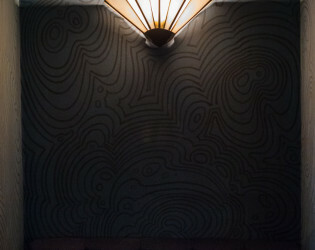 Joyeux Bordel is a subterranean cocktail bar, tucked beneath the busy streets of Shoreditch. Our venue is a cocktail bar!